At the Department of Dietetics and Nutrition of the Lebanese Hospital Geitaoui-UMC, we are engaged in a patient-centered care according to the latest recommendations of the specialty. We also perform an educational mission through the internship program we host for Nutrition Students in collaboration with several universities. 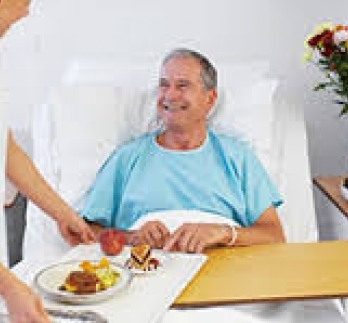 Furthermore, our department oversees and controls the work of the hospital kitchen and offers a variety of meals suitable for each patient, taking into account his food preferences, the medical diet prescribed and the most stringent hygiene standards. The Dietetics and Nutrition Department also participates actively in the multidisciplinary management of patients in the Obesity Treatment Center.